WHAT ARE SOME WARNING SIGNS MY FURNACE MAY NEED A REPLACEMENT? When it comes to furnace safety and performance, your best option is to always be proactive with regular furnace repair if needed as well as regular service and maintenance. Harmony technicians will help increase the lifespan of your furnace and ensure you’ll never be caught in the cold with your pants down. With that said, we have some tips to train your eye for signs your furnace is not safe or performing properly. Are you super dry? Allergies acting up? Can’t seem to stay the right temperature in your home? Your furnace could be the culprit! A key component of your entire HVAC system, your furnace helps keep air warm and clean too. A build-up of dust can signify things aren’t working just right, and that you haven’t had a service technician come out in some time. 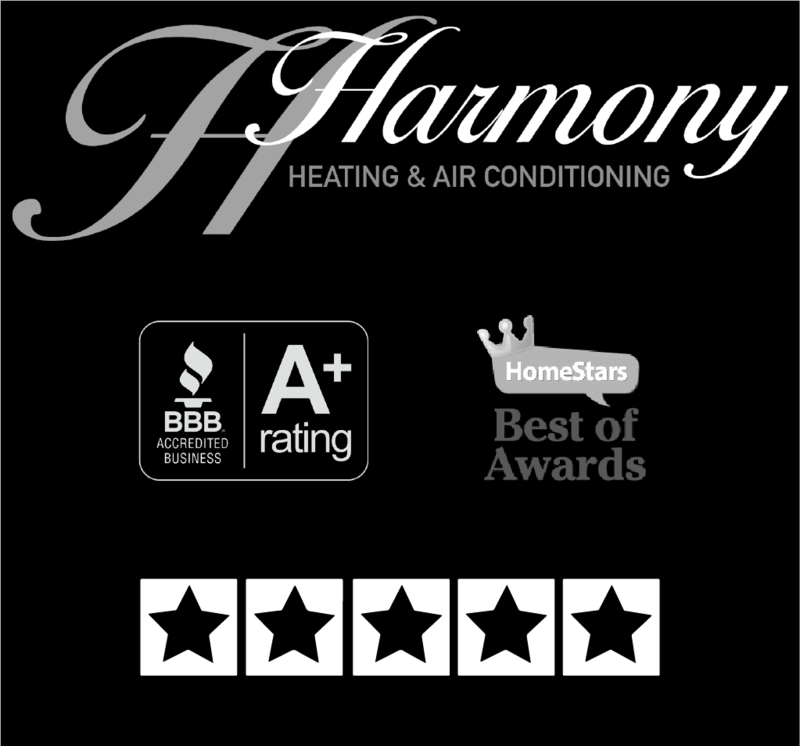 Call a Harmony technician right away to take a look and let you know if your furnace performance could be improved with some simple servicing, or if it’s time for a full replacement. Another sign you may need a furnace replacement is when your heating bill has been increasing steadily over the years. This could be an indication your furnace is under-performing and requires maintenance, or even a full furnace replacement. Excessive moisture on walls or windows and rusting on flue pipes or the visible portion of a vent pipe. Personally, you may also feel nausea, burning eyes, general disorientation, and flu-like symptoms. A definite sign you need a furnace replacement, go take a look at your pilot light right now! Studies show that furnace models purchased 10+ years ago are significantly less efficient, in fact up to 60% less, and can cause significantly larger utility bills than newer models. Contacting an HVAC specialist and replacing your furnace for a new, more energy-efficient model, such as a Lennox Furnace could be just what the doctor ordered. Lennox Furnaces are the most efficient and quiet heating systems you can buy, and an investment into a new Lennox Furnace now could save you a bundle on monthly utility bills later. Are some rooms in your home warmer or colder than others? The distribution of heat in your home is an indication of how your furnace is performing or in this case malfunctioning. This can be a sign of much bigger furnace problems and should be addressed before it’s too late. A Harmony HVAC technician will be able to tell if the issue is with your thermostat or furnace, and offer solutions to fix your furnace or replace it. A properly functioning furnace should have a blue flame. If the pilot lights flame is yellow or flickering yellow that is a MAJOR WARNING SIGN that your furnace is producing poisonous carbon monoxide! Other possible signs of carbon monoxide being present in your home include: excessive moisture on walls or windows and rusting on flue pipes or the visible portion of a vent pipe. Personally, you may also feel nausea, burning eyes, general disorientation, and flu-like symptoms. A definite sign you need a furnace replacement, go take a look at your pilot light right now! Now that you know potential warning signs, if you have any questions, we are standing by with answers! Talking to a Harmony heating specialist now and considering a furnace replacement before it reaches -30 and your furnace quits on you, or you become ill due to complications with your furnace is always better than having to call our emergency hotline later. We’re here for you either way though, we get it!